Addiction experts have long considered inpatient treatment as the ideal treatment plan. Substance users spend time immersed in a alcohol recovery program, safe from the cravings and triggers they would likely have to contend with in the outside world. All their needs are taken care of and the pressures they face in their normal lives can be turned into a background buzz. Unfortunately, there is a common problem with inpatient alcohol rehab programs. They are just too short. Most insurance is willing to pay for up to 30 days of treatment in a center. This covers all the costs of living and the treatment itself. Without insurance, most people struggle to afford inpatient treatment. So, when the 30 days are up, treatment often comes to an end. Since addiction is such an all-encompassing illness, it is difficult to contain treatment in such a limited time. There is a long list of possible co-occurring mental illnesses that many substance users struggle with. It can take a long time to deal with the addiction as well as the mental illness. And then there’s the process of finding their feet in the outside world. Long-term recovery options are ideal. A long-term stay just isn’t practical for most people. What other options do we have? Detox: most substance users need to detox before attempting any program. Without a full detox, they will use again to make the pain of withdrawal subside. Furthermore, detox without supervision can be physically dangerous. Group therapy: community is one of the mainstays of most addiction treatment. You cannot do it alone, without help from professionals and peers. Also, by learning that you are not alone, you can let go of some of the shame and self-blame. Individual therapy: each person needs specific things. At any treatment center, a resident is assigned a therapist, with whom they will engage in talk therapy. Addiction education: substance users need to know as much about addiction as possible in order to live in a way that promotes healing and sobriety. Meetings: 12-Step based programs place particular importance on meetings. This is where members get to know each other and create a healing environment. Family therapy: addiction is a family illness. No matter where it begins, its repercussions resound through the family. Relationships are shaped by it. Family therapy is necessary for environmental healing. 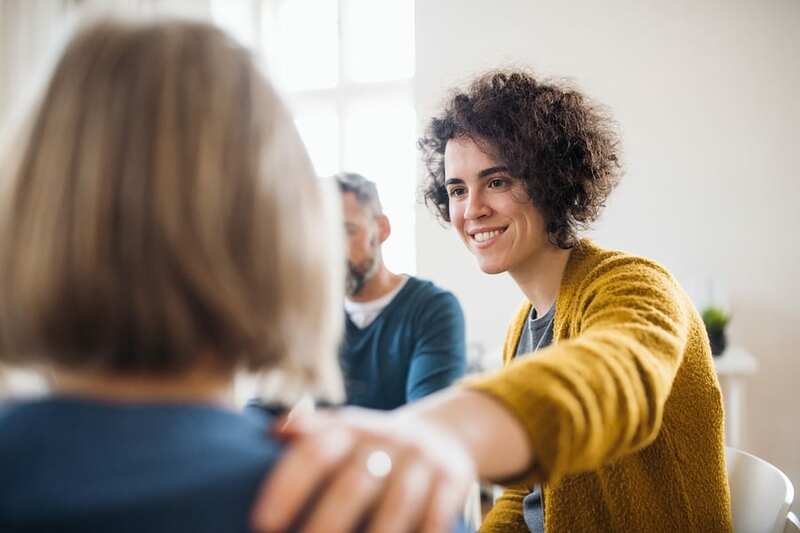 Sober coaching: some centers or programs encourage the use of a sober coach, who helps the individual stay sober in the face of cravings and triggers. One of the most promising alternatives is outpatient alcohol and drug rehab. This refers to treatment at a center, while staying at home and possibly even working. While inpatient alcohol abuse treatment is ideal, long-term recovery may be more affordable and accessible in an outpatient setting. The best alcohol treatment centers offer comprehensive outpatient programs, both for those who have spent time in inpatient treatment and for those who have not. Aside from detox, many of the treatments available in a center are possible on an outpatient basis. Outpatient rehab programs require patients to attend group therapy, as well as individual sessions. They provide addiction education through group sessions, as well as providing practical help and advice. Perhaps most importantly, they provide family therapy. Since the individual is living at home, family therapy is imperative. Without it, the triggers inherent in the various relationships are going to make it incredibly difficult to stay sober. Outpatient rehab is generally far cheaper than the inpatient alternative, even once you take basic living expenses into account. A benefit that outpatient treatment has is that patients are able to apply what they learn immediately. Instead of it all being theoretical until they leave the center, they learn quickly what works and what they are going to struggle with. Ultimately, even inpatient treatment needs to provide outpatient options while the individual adapts to life back home. This not only includes learning how to stay sober, but how to improve their lifestyle as well. It is clear that healthy eating, exercise, sleeping habits, and more, all impact one’s chances of staying sober. Furthermore, patients can implement structure in their own lives. Many substance users are unemployed or have left school, and therefore have nothing concrete around which to structure their days. Without structure, sobriety is very difficult to maintain. It is the security of a strong system that helps the individual feel safe in their sobriety. This structure does not need to be centered on employment, and can be made up of anything that is important to the individual. This can be related to the program itself, which they can then implement in their day-to-day lives. Those who do go to inpatient treatment have options after they have left the program. The center itself may provide outpatient aftercare. Alternatively, they may move into a halfway house where they are required to stick to certain rules and requirements for living there. Halfway houses provide a clean environment away from triggers. Patients can use them as stepping stones between rehab and regular life. Long-term recovery is hugely important when it comes to addiction. Ideally, this recovery takes place in a treatment center. However, when that is not possible, outpatient treatment is an excellent option.